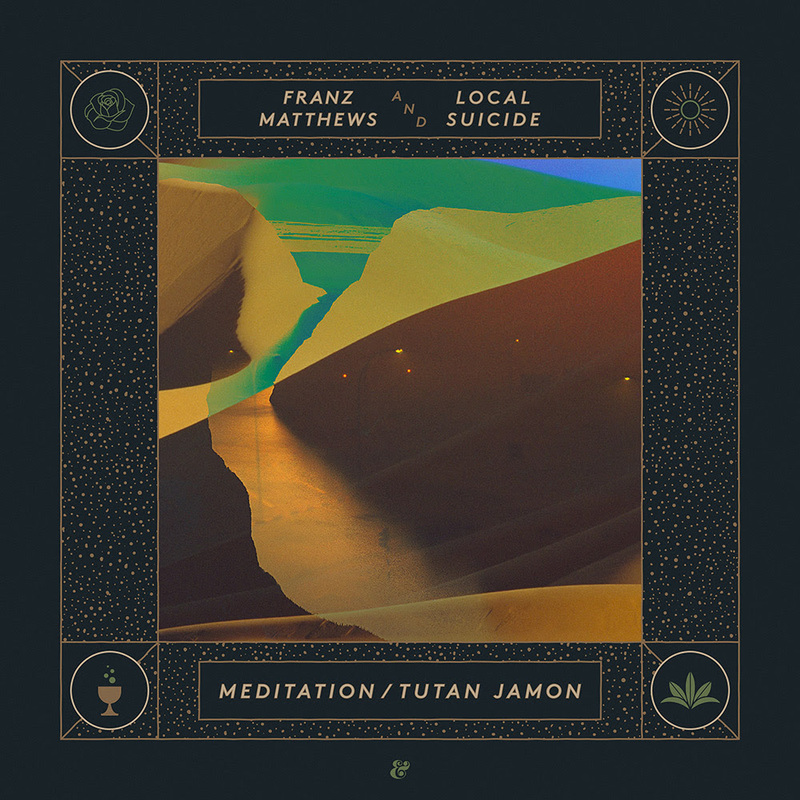 Celestial Ghent-based label Eskimo Recordings has summoned an ethereal collaboration between Franz Matthews and Local Suicide with the release of ‘Meditation / Tutan Jamon‘. The other-worldly recording finds the Berlin artists combining forces for two exciting cosmic disco excursions into the desert oasis. The release feels right at home onEskimo Recordings, as the darker counterpart to the label’s recent nu-disco releases from the likes of Satin Jackets and Simon Says. As the head of HIFI/LOFI Records and one-half of Balearic pop duo Languages, Franz Matthew’s eclectic yet always entrancing approach melds perfectly with the ‘technodisco’ sound of Berlin-based duo Brax Moody and Vamparela, aka Local Suicide. Across the two tracks, the artists channel both the psychedelic indie dance-pop aesthetic of Matthew’s previous releases on imprints such as Days Of Being Wild and Rockets & Ponies, and the new wave/acid goth jams of Local Suicide, who have previously released on labels such as Bordello A Parigi, Duro and My Favorite Robot Records. The first track, ‘Meditation’, is a ruminative and spiritually infused number that combines sun-drenched melodies, wistful guitars, and breezy rhythms, overlayed withVamparela’s yearning vocal. Across the three edits, ‘Meditation’ soothes and transports the listener to a deeper state of consciousness. ‘Tutan Jamon,’ meanwhile, finds the trio of collaborators delving into darker territories with two distinct versions of the track. While the original mix assembles cold percussive beats, forbidding synthesizers and classic Egyptian melodies, the ‘1001 Nights’ version takes these elements and delves even further into the menacing darkness of the desert by night. The release comes complete with instrumental versions of both tracks, serving to highlight the mystical sonic textures laced within each production. 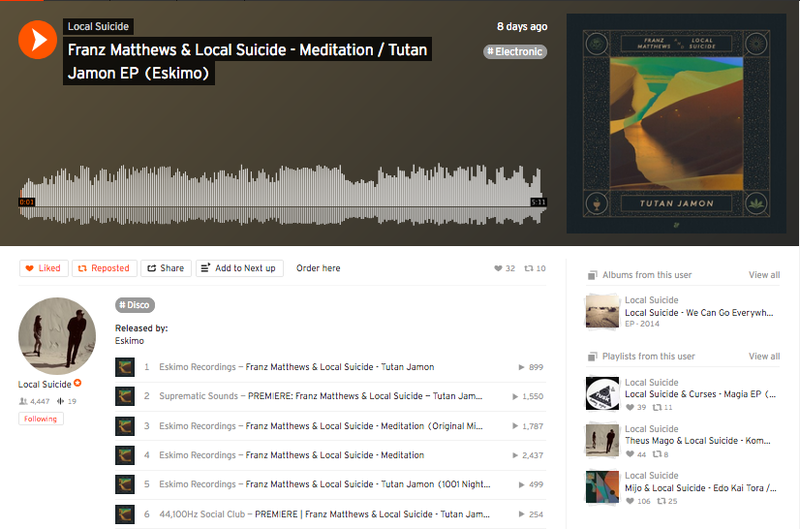 ‘Meditation / Tutan Jamon‘ is out now through Eskimo Recordings. Tracks from ‘Meditation / Tutan Jamon‘ have been premiered by the likes of Resident Advisor,No Nací en Manchester,Magnetic Magazine,Suprematic Sounds,Discobelle, and 44,100Hz Social Club. With the cost of housing forever rising, tiny houses are becoming a much more viable option for many..